W. Esdaile (L. 2617), with his attribution and date '1835 WE Swaneveldt'. Anon. sale, Paris, Drouot, 21 June 1995, lot 37. 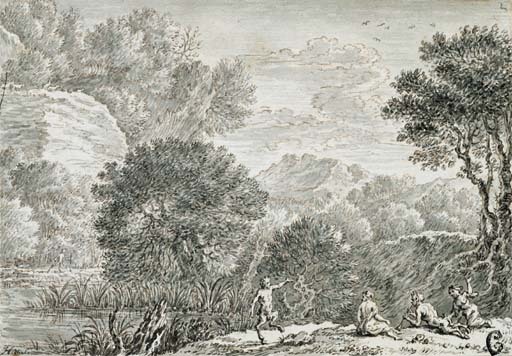 The second in a series of four prints of Landscapes with satyrs engraved by the artist in Paris. Swanevelt, a pupil of Claude, was in France from 1623 to 1629 and after 1646, becoming director of the Academy in 1653.